More than 40 Brands and 130 Attendees Registered! 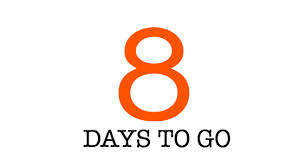 Only 8 Days To Go! Well, here we go! On October 13, 2015, in Dallas Texas, we will be gathering with more than 130 attendees to focus ALL our attention on How To Grow Sales and Increase Profits with Catering out of Restaurants. There is still room so hurry up and register today! We are so grateful to our event sponsors. PepsiCo Foodservice, MonkeyMedia Software, Punchh, Voice Teleservices, Realcomm Solutions, Texas Restaurant Association,Georgia Restaurant Association and FSR/QSR Magazine. The Catering Institute is very honoured to be hosting the following brands to our workshop for a day of learning and networking: Backstreet Cafe, Badazz Burritos, Berry Hill Baja Grill, Bruegger’s Bagels, Caracol, Cristina’s Mex, Corner Bakery, Cowboy Chicken, Crushed Red, Dickey’s BBQ, Garbanzo’s, Firehouse Subs, Fuzzy’s Taco Shop, Garden Fresh, Hugo Restaurant, Hungry Howie’s, La Madeleine, Little Greek, Le Boulanger, Lockharts Smokehouse, Luis Foods, Matt’s El Rancho, McAlister’s Deli, Moe’s SW Grill, Nalley Fresh, On The Border, Original Pancake House,Pepper Jax, Pollo Campero, Potbelly Sandwich Works, Qdoba, Restaurant Works, Schlotzsky’s, Spaghetti Warehouse, Spec Ops Burritos, Subway, Taco Bueno, TooJay’s, Villa Enterprises, VooDoo BBQ, WhichWich, Zoe’s Kitchen, Zoup! 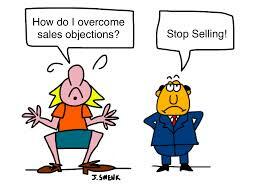 Sales objections are just a part of selling. Whenever a customer objects, they are never telling you the truth! Of course, I am not saying that your customers are liars. No. I am just saying that they are not telling you what the real problem is. The real reason why they are not buying from you. The key to a successful sales call is being able to find out what the real objection is, and then isolating that objection to make sure that there is nothing hiding in the background of your prospects mind. If you isolate the objection, you can now deal with it and close the sale! Ideally, your Catering Sales Manager(s) will be offering solutions throughout the sales call to many of the possible objections that a prospect will bring up during the sales call. Very often the customer may say “okay, I understand,” yet still not have accepted the solution. A good Catering Sales Manager must figure out what needs to be asked in order to find out the real objection so it can be addressed. The process of doing this is called isolating the objection. 2. Ask why or what: “why is it that…?” “compared to what?” . An excellent Catering Sales Manager asks questions and finds out what the customer is thinking. Remember, customers never say what they mean. 3. Isolate the Objection by Asking “Besides the (Objection) Is There Any other reason that is preventing you from purchasing today? If they say yes, find out what it is and then isolate the two objections together.. if they say no, then move to step 6. 4. Find common ground and get permission to move forward: “If we can get together on the issue of (objection), will we be able to move ahead?” Notice that you have not handled the issue yet, but have simply learned why and what makes it a concern to the customer. If the customer answers “yes,” then answer the question and close the sale. If the customer answers “no” or “maybe,” then continue to step five. 5. Stop Talking and Listen: Stop talking and listen to the customer so you can figure out the real issue. Great Catering Sales Managers realize that resisting handling the issues first presented and probing for other issues is essential to effectively overcoming the objection. Keep going through this cycle until you have isolated the issues. Once the issues have been isolated, then you can move to Step 6. 6. Solve The real issue: The process of isolating the objection is a skill that takes time and practice to develop. Once the issue is isolated, you can now close. Client: Too Expensive compared to your competitor. There is ALOT to discuss here. 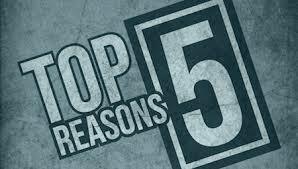 Isolating objections every single time is the key to closing more sales.